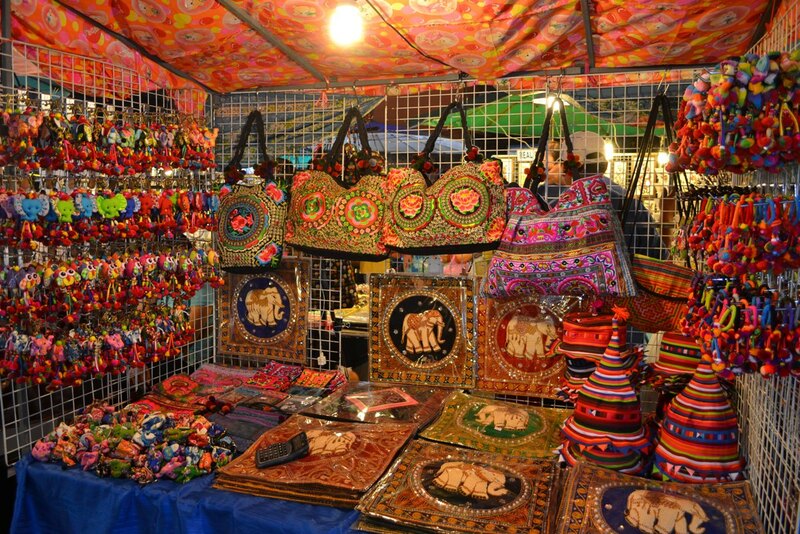 Food, clothes, accessories, household stuff, handicrafts, and many more - everything is on sale at these popular night markets. Chiang Mai is a tranquil and laid-back place to indulge in. You might have planned a trip to Chiang Mai for its monuments, Lanna buildings, or to answer your adventure crave. Whatever the reason is, your trip to Chiang Mai will be incomplete without exploring its abundant night markets. 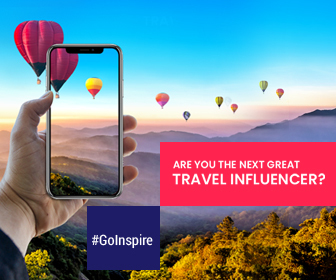 Luckily, if you’re in the city during weekend then you will have more options to choose and spend the entire evening with shopping, browsing items, snacking on the streets, and soaking up the scene. Chiang Mai can be called as Thailand’s market capital since there are hundreds scattered everywhere in the city. You can find everything from fresh food, flowers, one-off clothing, souvenirs, and many more. Read on. 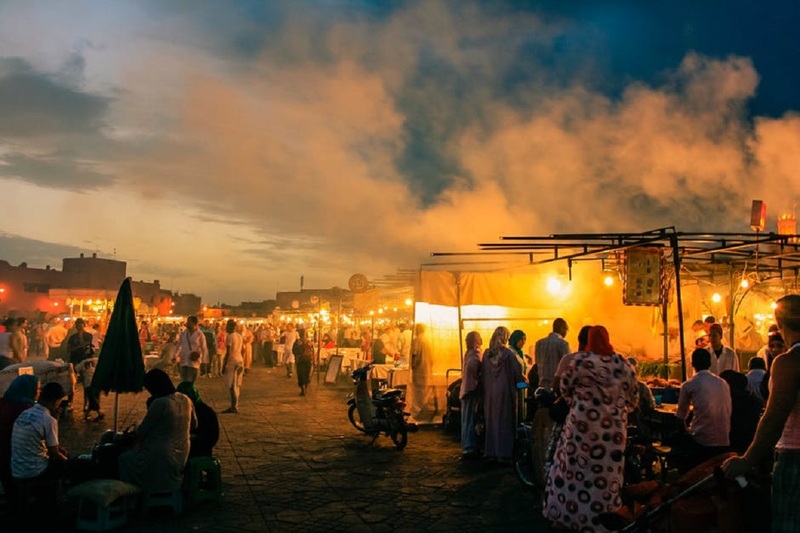 We’ve presented a list of five best night markets that one must visit. Chiang Mai Night Bazaar is probably the best known market and one of the popular nighttime attractions of the city. The stalls sell everything from trinkets, clothing, DVDs, shoes, to other knick-knacks. Defining the size of the market is not easy since the collection of stalls vary daily. Nevertheless checking out this night bazaar is worthy since it has everything that any other Thai night bazaar has. Best goods to buy: Hand-tailored Thai silk, “Same Same But Different” t-shirts, CDs and DVDs, fake football shirts, and many more. The kilometre-long stretch Sunday Walking Street runs once a week. 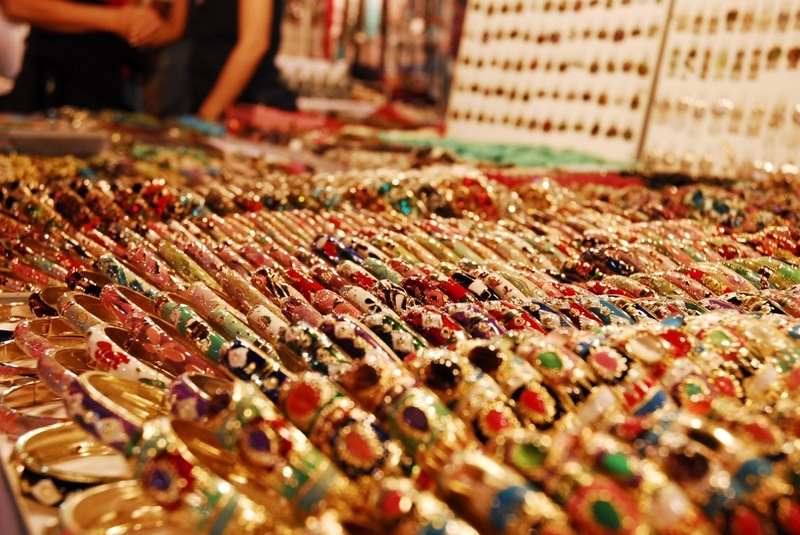 Located in the heart of this night bazaar offers handicrafts, accessories, and souvenirs. Besides shopping, the street comes live with street food scene, makeshift bars and quick sessions of massages on roadside. 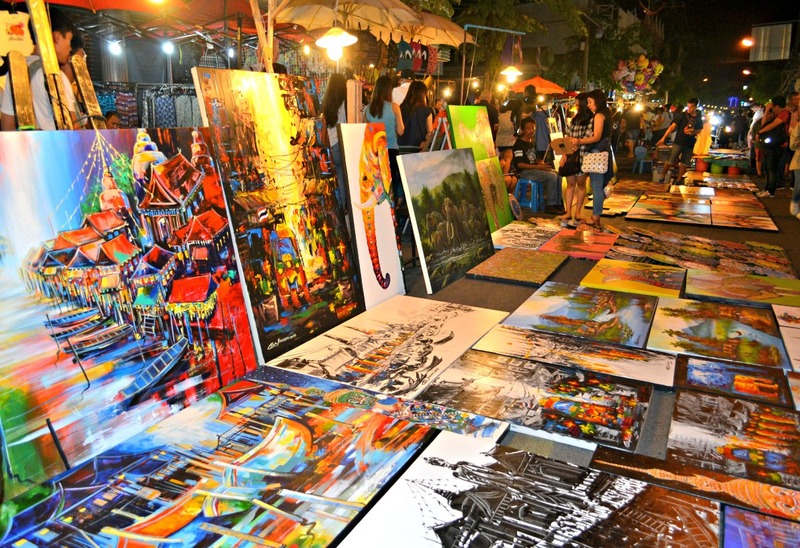 Also, you can find a vibrant spectrum of art, music, crafts, souvenirs, and handmade products that echo the spirit of Thailand. At least more than 30,000 people pass through the street on a typical night. So you shouldn’t miss visiting the market. Best goods to buy: Hilltribe handicrafts, traditional artwork, costume jewelry, ceramics, handmade paper products. No time for visiting Sunday Walking Street? Then Wualai Walking Street is the next choice instead. Linking to Thipanet Road, the Wualai Walking Street opens in the late afternoon and continues until 22:30. Lesser crowds at the market allow you to enjoy a leisure stroll through the market. Choosing a tuk tuk or public van is an easy option to reach the market. Best goods to buy: It is a good place to pick up handicrafts, locally-made products, “I love Thailand’ t-shirts, and tasty snacks. 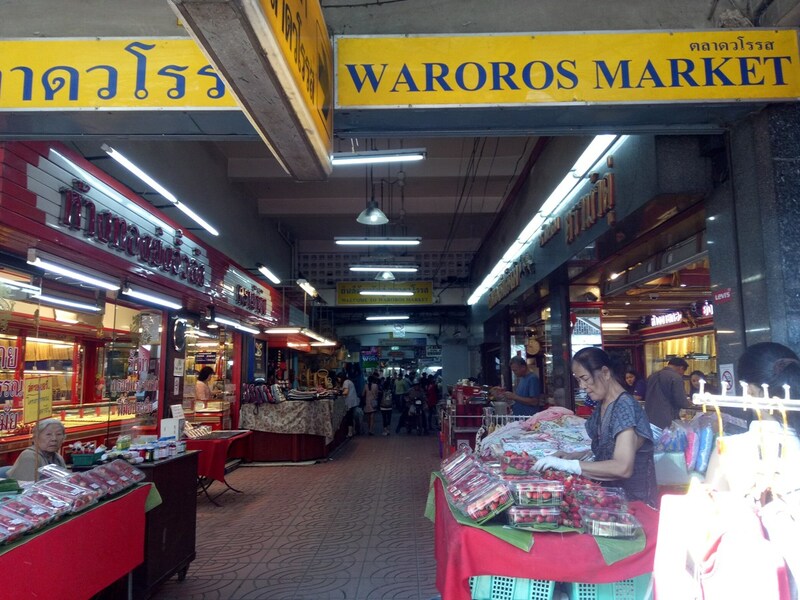 Being Chiang Mai’s one of the top food markets, Warorot Market offers a wide range of fresh produce and ready-to-eat snacks. Tasting the authentic northern-style delicacies is a must. The entire basement looks like open kitchens allow you to see skillful preparations. The second and third floors are exclusively for clothing and accessories. Best good to buy: Grilled northern-style sausage, red and green chili dip, crispy pork skin, ready-to-eat dishes. Ton Lamyai Market is an excellent choice to kick off your day in the Chiang Mai city. The market is open throughout the day. Specialized uniquely in one thing – flowers, Ton Lamyai Market makes a great morning wander with its vast and varied collection of flowers. 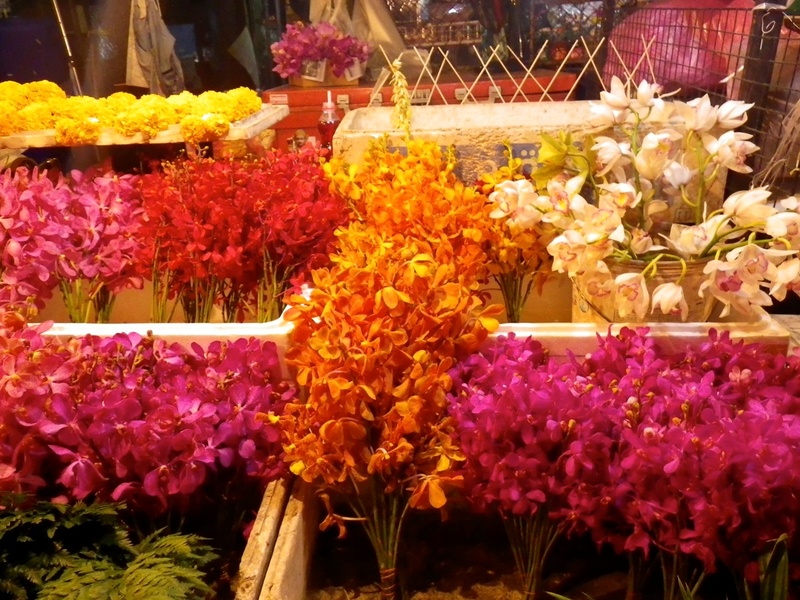 The brightly colored and bustling flower market is located just near the Wororot Market on Praisanai Road. The market becomes even busier on special occasions like Valentine’s Day, Buddhist holidays, etc. Best flowers to pick up: Everyone at the market gets puzzled for vivid colors and freshness of flowers. And of course, it’s hard to choose for its huge collection. You’ll never say no to visit again. Bring enough money for shopping and buy a plethora of products at wallet-friendly prices. Don’t forget to keep an eye out for pickpockets!